Blend and enjoy! 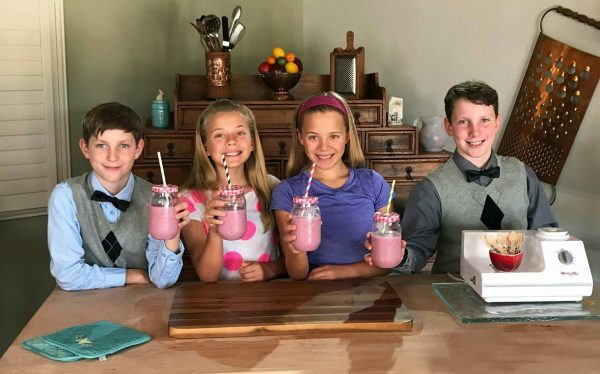 Make 4 kid size smoothies. For smoothie cubes, pour leftover smoothie into ice cube tray and freeze. For fruit cubes, add a piece of fruit or berry to each ice cube tray and then fill with water or juice. jandatri.com, Momma & Me LLC, My Momma's Biscotti, My Baby's Biscotti, Rescued Recipes, Inc., A Brighter Day, LLC, are registered trademarks of A Brighter Day Enterprises, LLC.